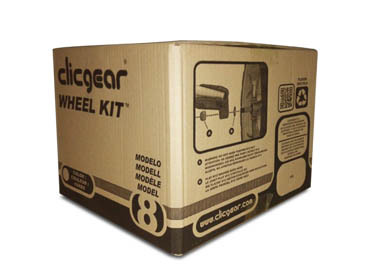 The Clicgear® Model 8.0 Wheel Kit allows for easy wheel replacement or customization of your Model 8.0 Cart. 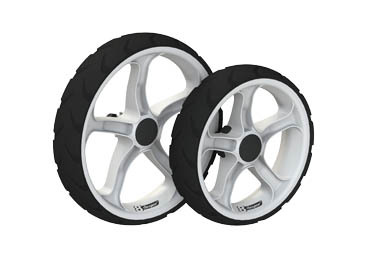 The Clicgear® Model 8.0 Wheel Kit allows you to dress up your cart, or if you are lucky enough to play a lot of golf, replace your old wheels with new ones. Available in various colors to match all Clicgear production carts. 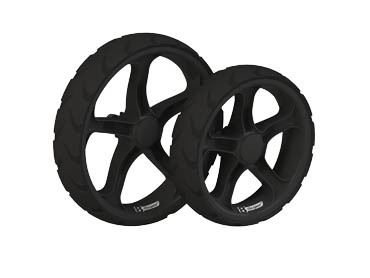 Easy to install, maintenance free design, solid foam core tires with an EVA Foam and natural rubber blend, press fit sealed ball bearings, engineered high strength rim, course friendly wide tread. All features make for a wheel that lasts. Available in: Black and White.